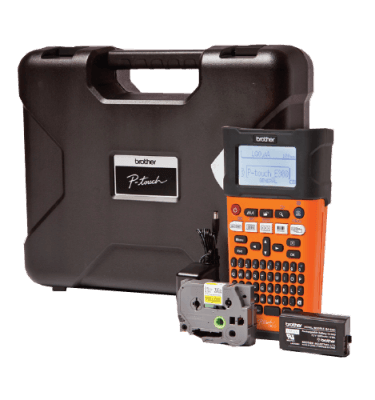 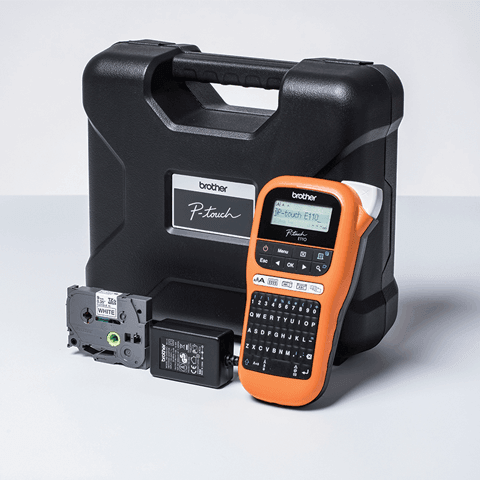 The PT-E110VP also has 200 built-in symbols including various electrician/installer specific designs, and comes with its own carry case. 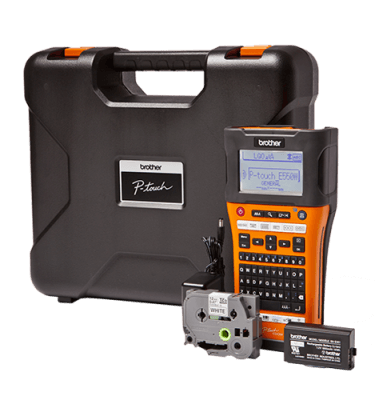 And with multiple cable modes including cable flags, cable wrap and face plate, the PT-E110VP has faster, better, safer labelling covered. 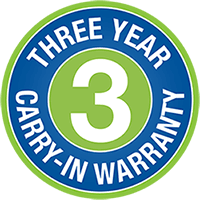 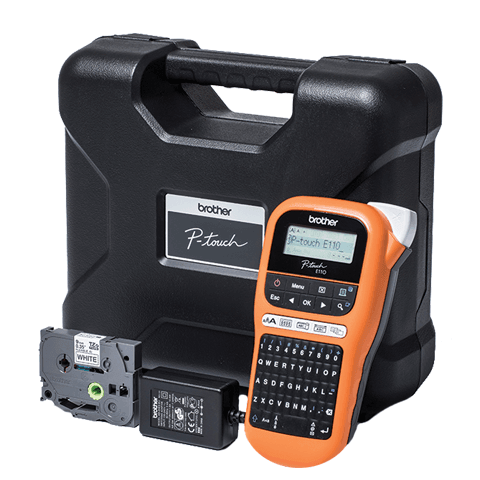 Help ensure your work meets rigorous industry standards by printing durable, long-life labels on-site and on-demand, to complete the job in a professional manner. 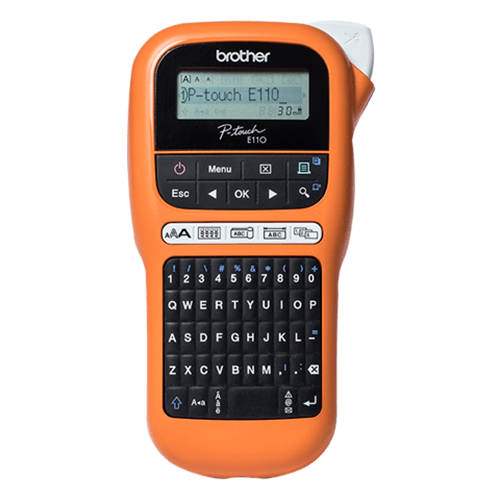 For basic labelling tasks, the Brother PT-E110VP Label Printer is the ideal addition to your work bag. 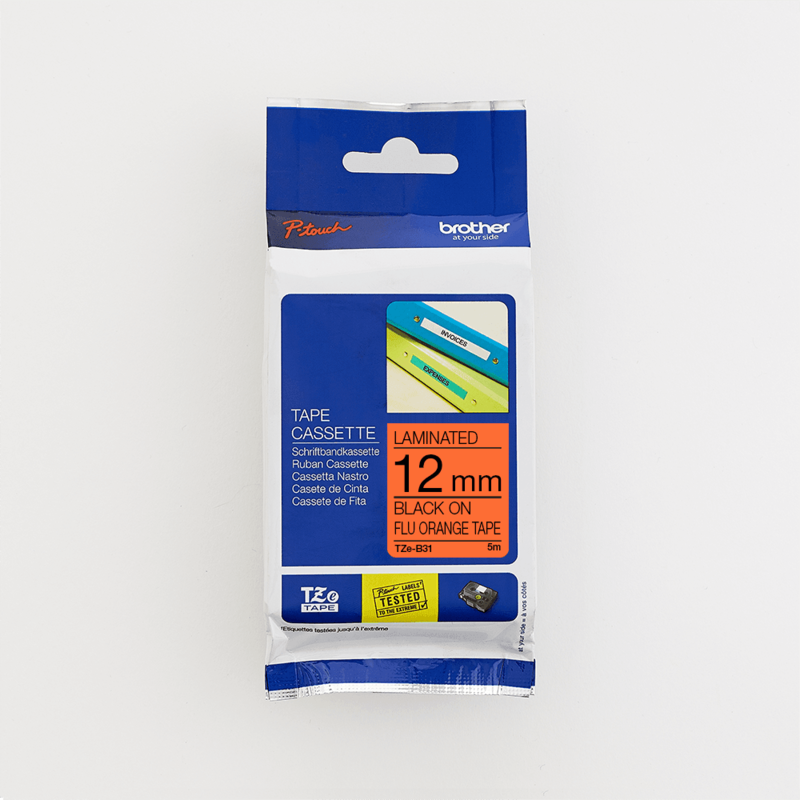 Choosing the correct TZe tape for the job is crucial. 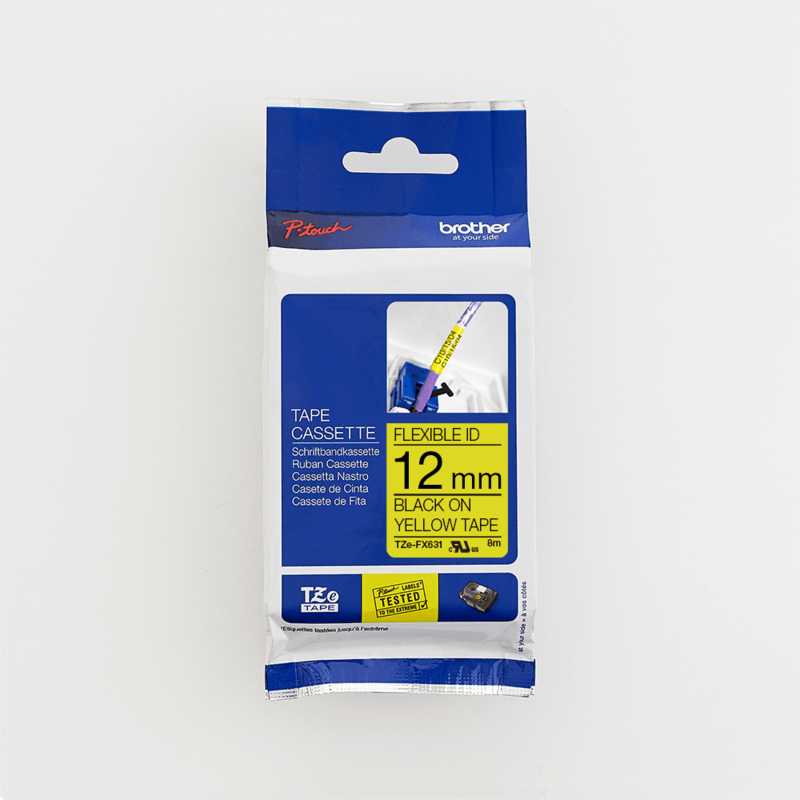 This is why Brother has a range of tapes specifically designed for different labelling applications. 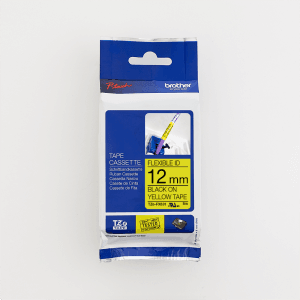 Whether you need water-resistant laminated tapes for indoor or outdoor use, flexible ID tape for wire wrapping, or pre-sized die cut labels, Brother has a large selection of sizes, adhesive choices, and colours to choose from. 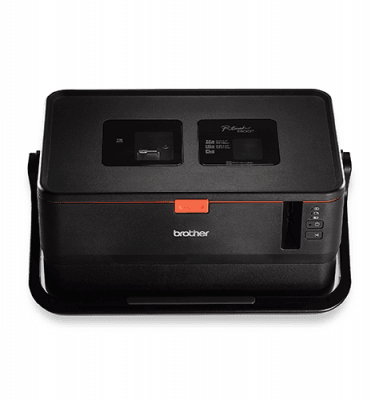 Organise your home, office, or industry with Genuine Brother label tape.